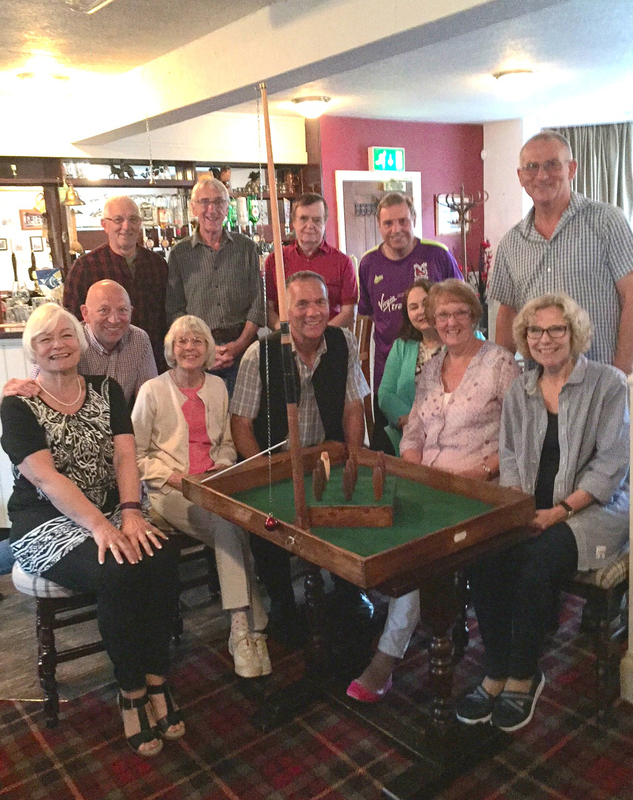 This group meets on the 1st Wednesday each month at the Foresters Arms, Main Street, Newthorpe from 6.00 – 8.00 pm. 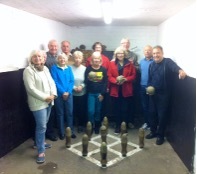 The contact for the group is Lorna Stirland on 01773 719 834. New members always welcome. 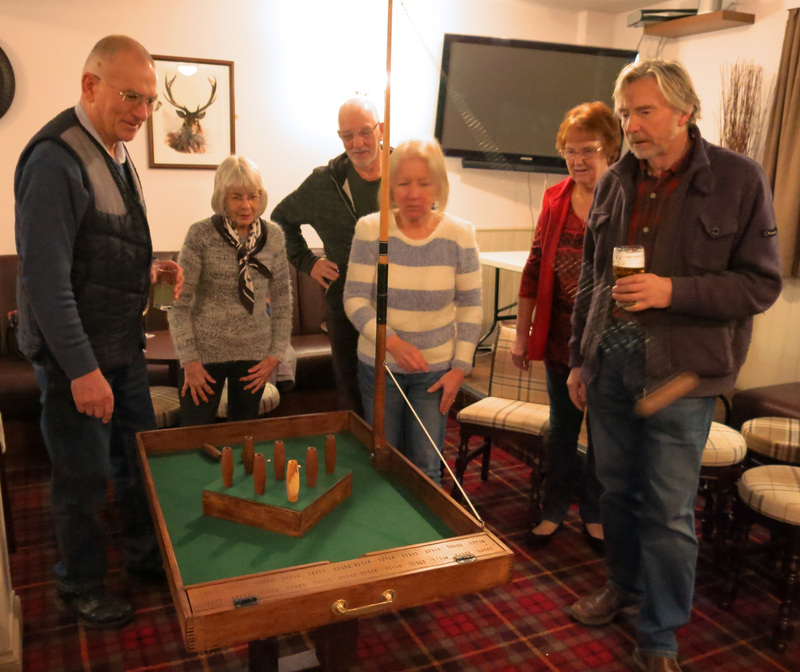 Long Alley Skittles members have come into the warmth of the bar for the winter! The outdoor alley has proved to be rather cold in the winter months so the group are playing with a table skittles board that has been lovingly restored by Jim. They can be seen getting to grips with the new challenge.